Last week, I took a trip to a local recycling facility. 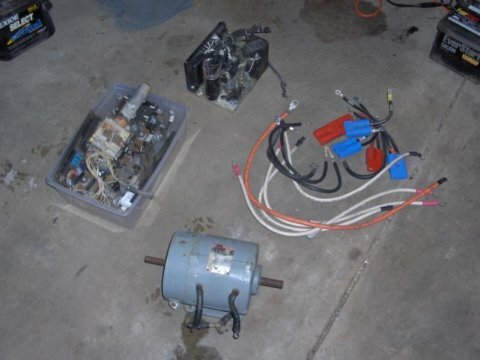 The owner, a friend of mine, gratiously donated a slew of parts to the project. I really like this idea. I realize not everyone might be able to get donated parts, but a recycling center just takes these things apart for scrap. If you can get the parts for the price of scrap, they’ll gladly get rid of it simply because its no work for them (rather than having to disassemble it). 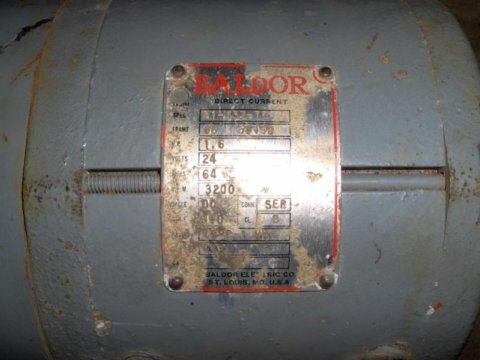 The motor is a Baldor 24V 1.6HP. Rule of thumb is that when replacing a gas engine you divide its peak horsepower by 4 to get the electric motor horsepower you need. So, its a little on the small side. The gas engine was 8 horsepower. But, I think that it will work just fine since you very rarely use all 8 horsepower the gas engine provides. It has a foot mount on it, and no holes for face mounting, so I’ll need to drill and tap some holes in it to mount the face against the mower frame. 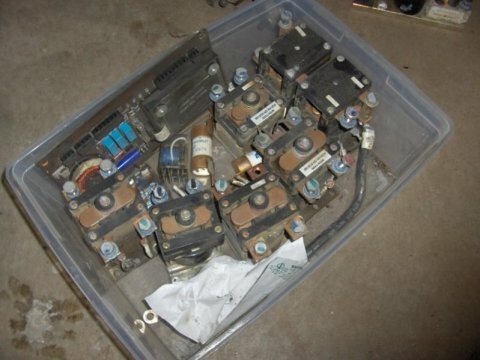 I also got a box of contactors. These are very similar to a simple relay, except they are really heavy duty and can handle a lot of amperage flowing through them. I’ll likely use one for the main on/off switch. Along with the contactors came some pretty beefy 0 gauge wire too. To top it all off, I even got a bunch of batteries. 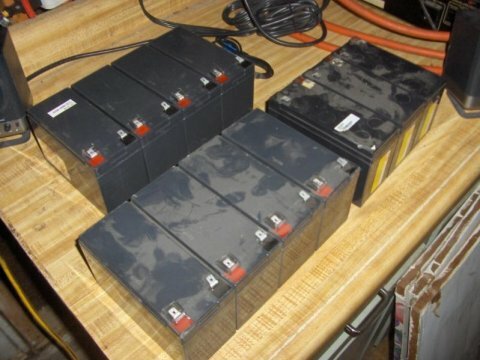 These batteries are very small (about half the size of a motorcycle battery) 12V 7Ah, and will have to be put in parallel to keep the voltage down, but they’ll hopefully be easier to find space for since they are small. These parts, all together, are the bulk of what I need for the mower. The rest should just be odds and ends like fasteners, and other miscellaneous things. I will need to get new pullies for the mower too since the shaft sizes are different between the motor and gas engine. However, thats just a trip to the local farm supply shop. Finding the correct ratios to go with may be a bit more difficult I’m afraid.